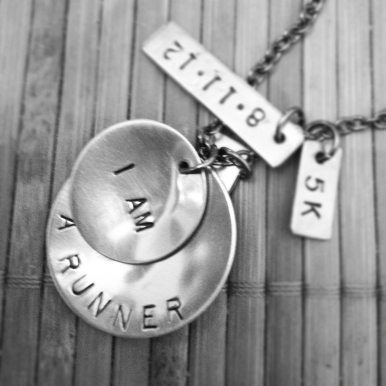 The Run Home's I AM A RUNNER Necklace! 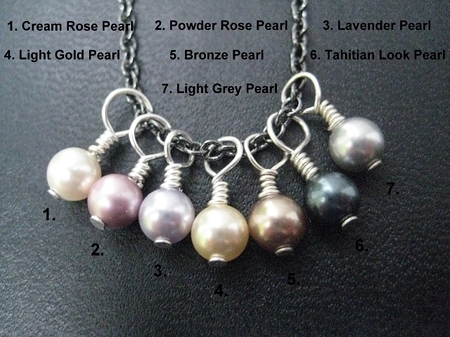 One of The Run Home's very first designs and a fan favorite! 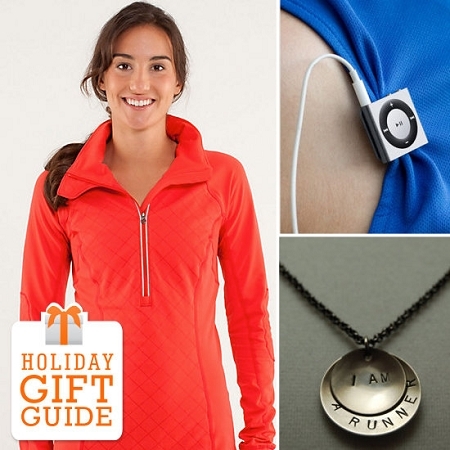 The I AM A RUNNER Necklace has been featured in many Holiday Gift guides including the PopsugarFitness (Fitsugar) Magazine's 2012 and 2013 Holiday Gift Guide: Women on the Run! 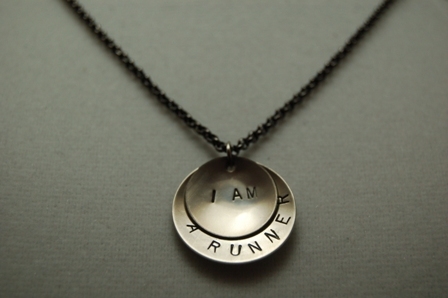 The Run Home's I AM A RUNNER Necklace features a top layer 3/4 round disc hand stamped with I AM. 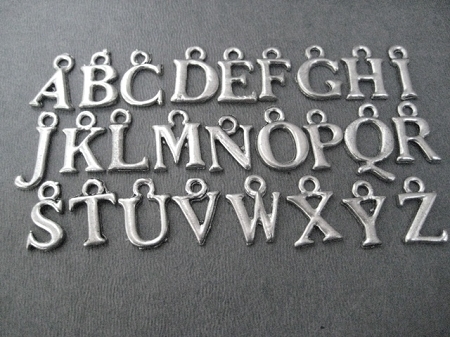 The bottom layer 1 inch round disc is hand stamped with A RUNNER. 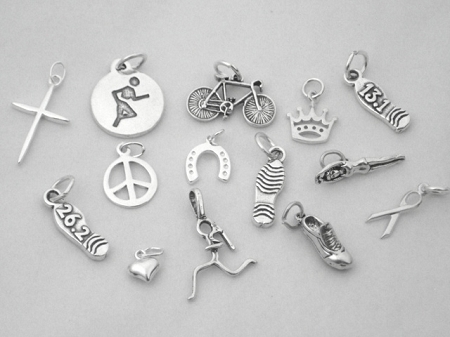 Choose to add a Hammered Nickel Silver 1/4 x 1/2 inch 5K, 10K, 13.1 or 26.2 Charm, a Sterling Silver Wrapped Swarovski Crystal or Pearl, a Sterling Silver Charm, a Pewter Initial Charm or a Hammered Nickel Silver 1/4 x 1 inch Custom Name, Date, Race or Word Pendant. 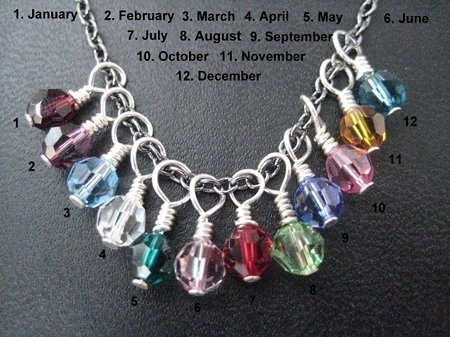 Check out The Run Home's I AM A RUNNER Necklace as featured in FitSugar's Holiday Gift Guide - Women on the Run 2012 and 2013! Perfect! And thank you for the encouraging note! 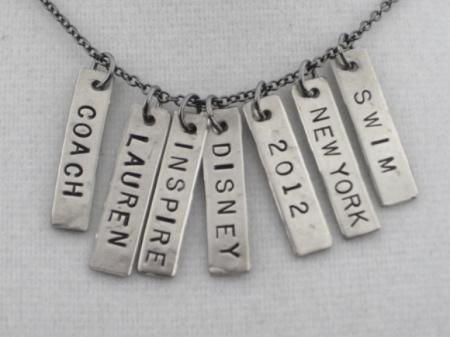 I wear mine proudly to shout it out - no matter how slow - I AM A RUNNER!